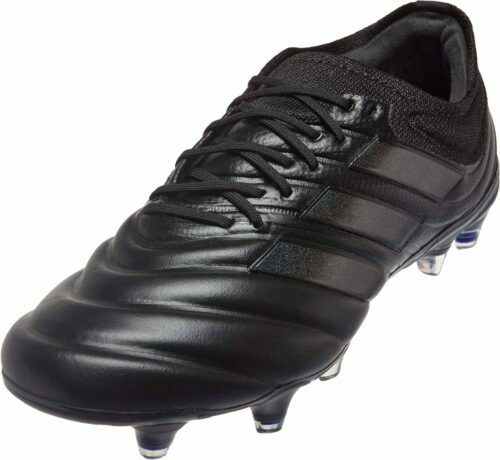 If you’re looking for a timelessly attractive design without sacrificing performance, adidas Copa cleats are the answer. 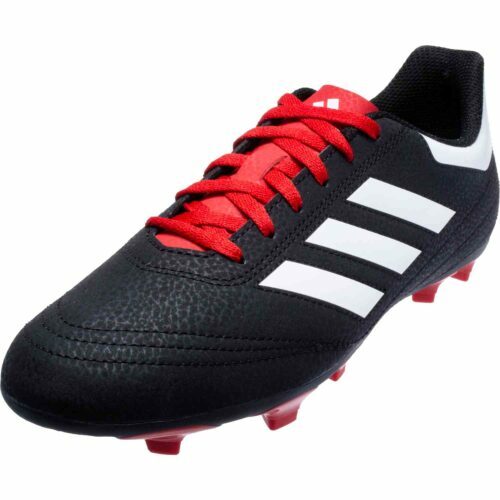 Instantly recognizable, these tri-band designs remain popular decade after decade. 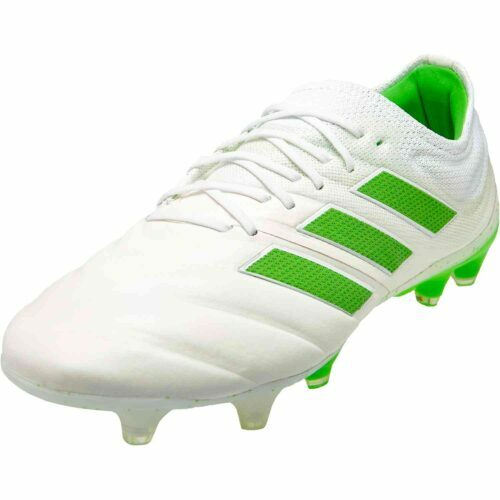 Manufactured with cutting-edge materials, they are lighter and more durable than ever before. 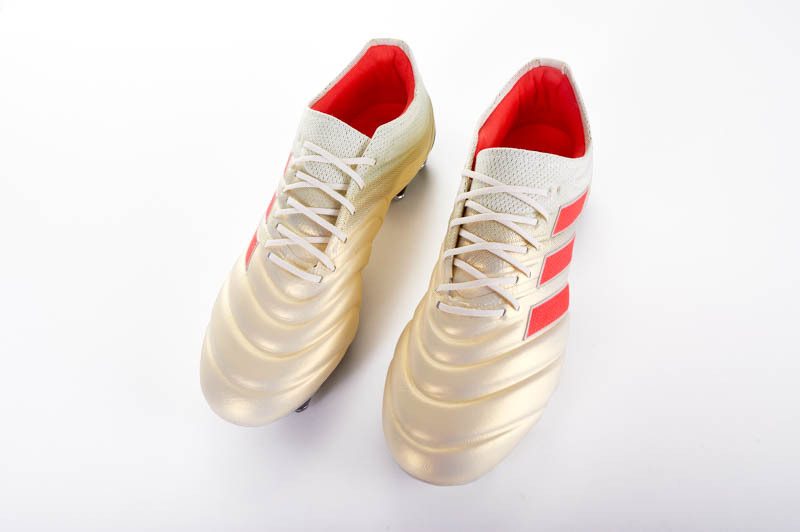 Picture a pair of soccer cleats in your head. 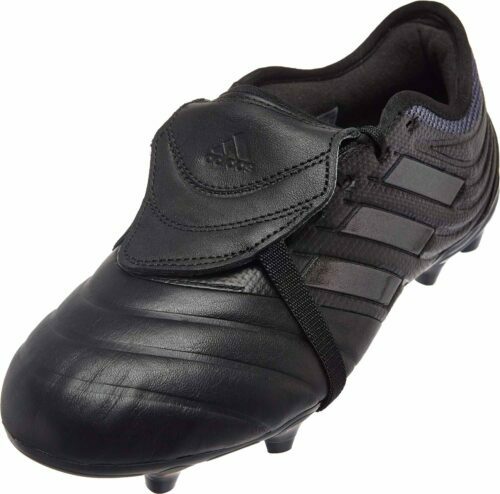 Chances are, you’re imagining a pair of adidas Copa Mundial cleats. 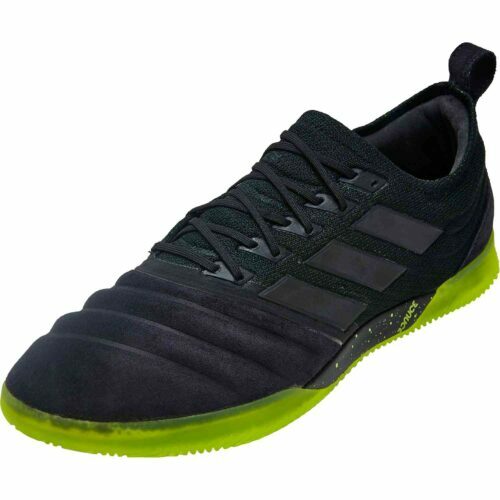 At SoccerPro.com, you’ll discover this familiar, handsome design, upgraded with the latest materials and manufacturing techniques. 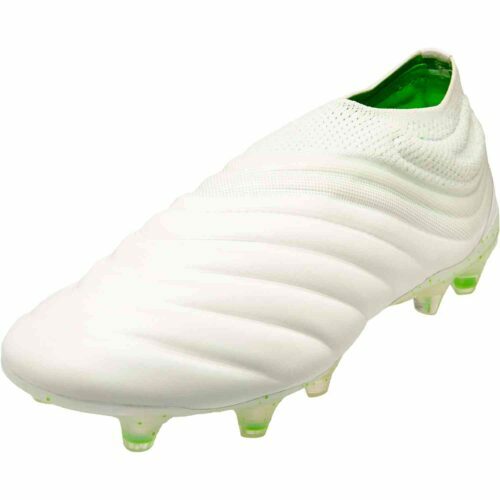 The result is a soccer cleat with classic good looks and all the functionality you’d expect from a brand-new pair of top-of-the-line boots. 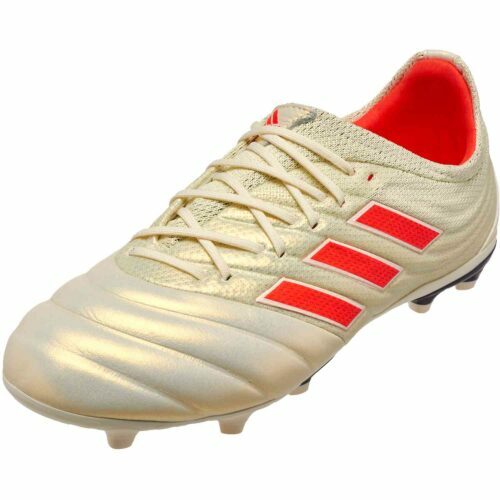 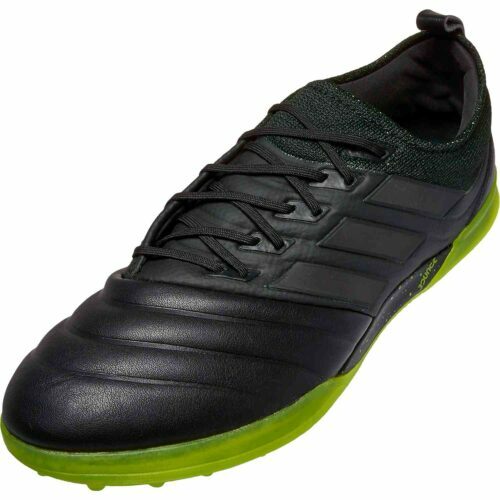 Choose from FG adidas soccer cleats that are ideal for most grass surfaces, turf boots for play on artificial fields, and indoor shoes for winter league play. 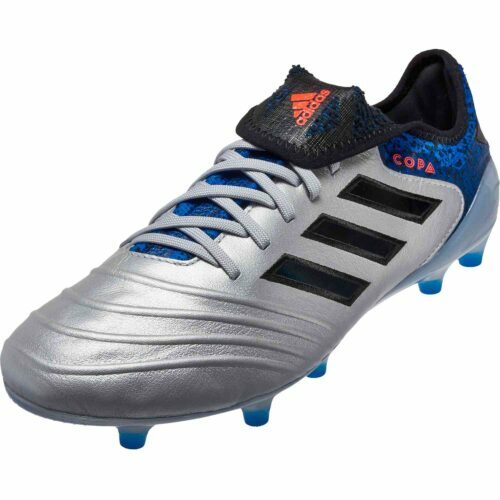 Copa Mundial cleats are brilliantly engineered to give you excellent traction on the pitch. 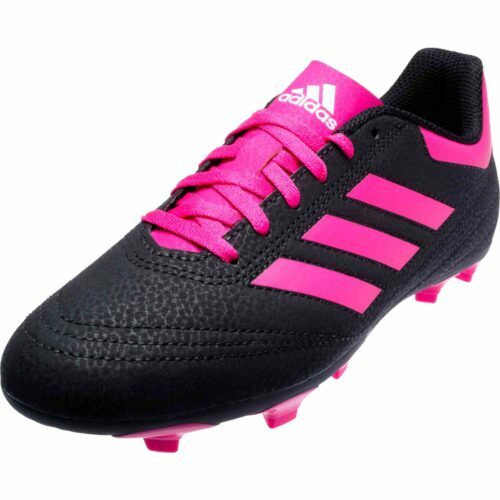 This will help improve agility and quickness. 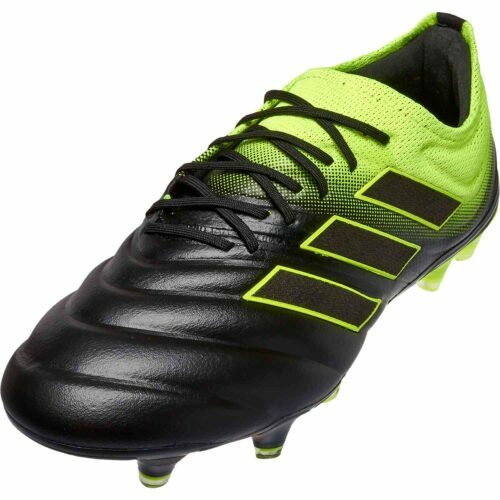 Lightweight and breathable, they won’t slow you down as your team pushes to score the equalizer before time expires. 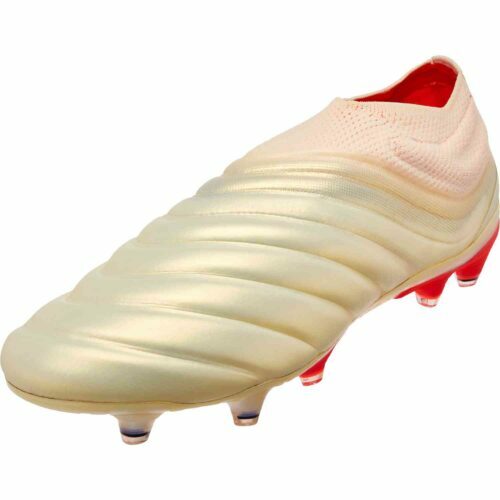 With impact absorption and the right amount of sole flex, these premium soccer boots will reduce fatigue and keep you feeling light on your toes throughout a long practice or heated match. 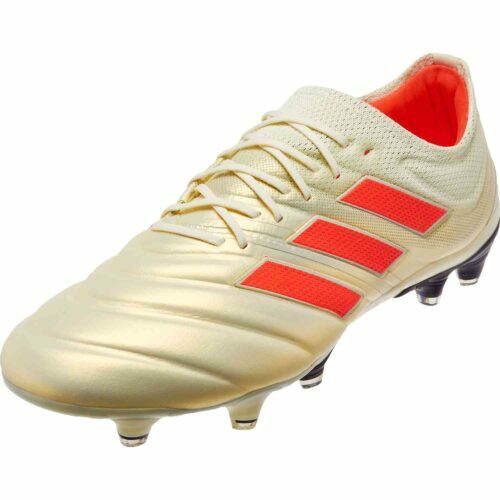 Your choice in shoes says a lot about who you are as a player. 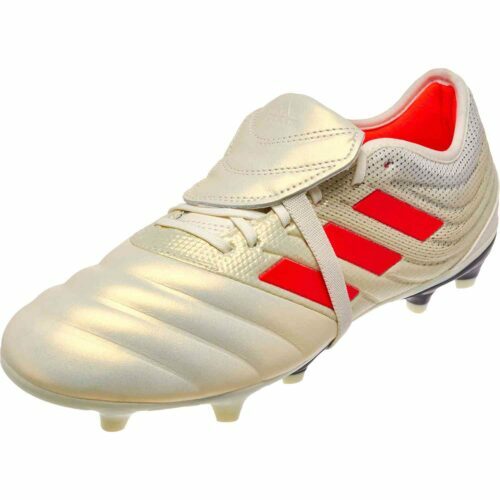 With adidas Copa cleats from this collection, you’ll show respect for the past, as well as a desire to reach your potential on the pitch. 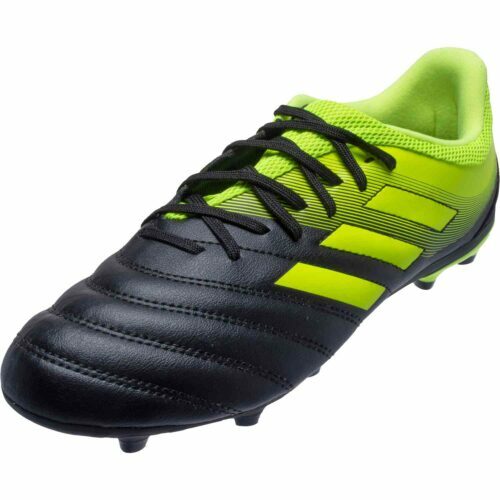 Browse a fantastic line that includes traditional black with white band designs, as well as eye-catching vivid colors. 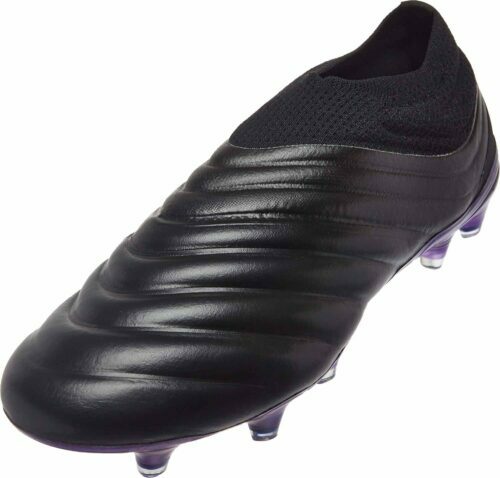 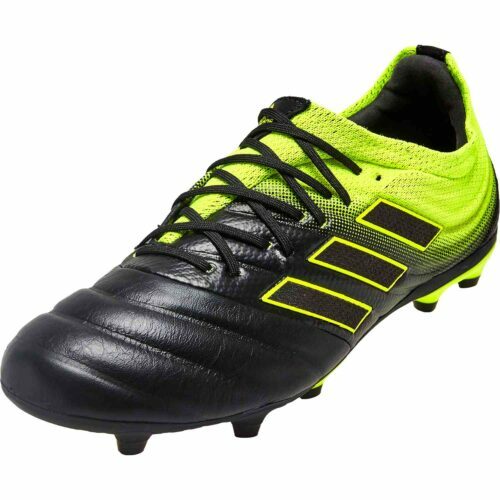 At SoccerPro.com, you’ll have access to all the latest models, including the hot fresh adidas Copa 19+ and more. Shop today and enjoy fast shipping and easy returns on all athletic footwear. 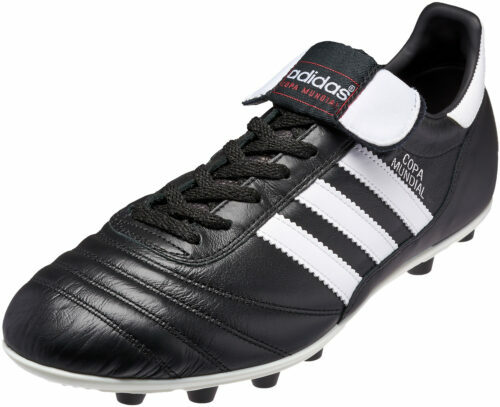 The Copa Mundial, which was initially launched in 1979 included multiple studs and became the most-produced soccer cleat of all time. 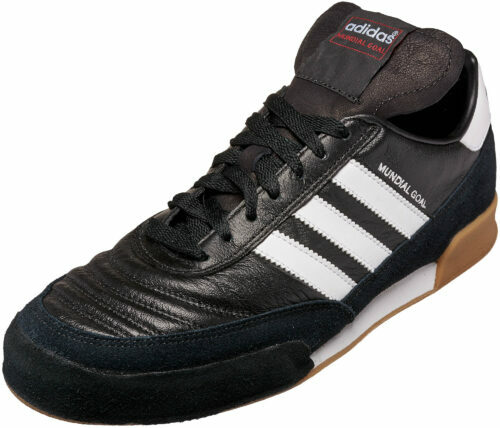 It launched to a huge PR splash in 1982 at the World Cup in Spain.